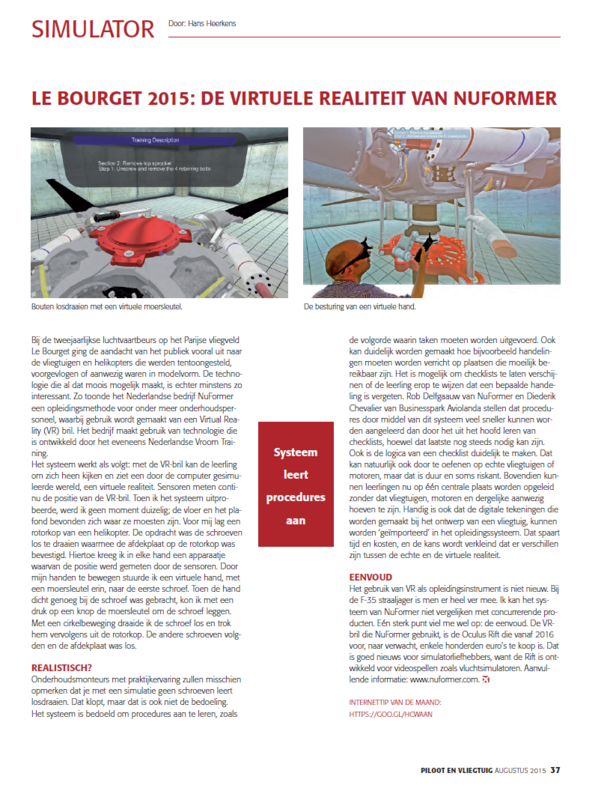 The most recent edition of the Dutch ‘Piloot en vliegtuig‘ (Pilot and aircraft) magazine featured an article about VROOM. 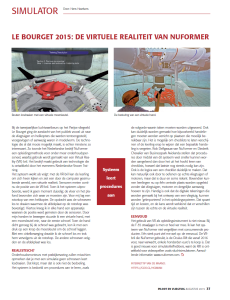 Together with NuFormer we showed it at the Paris Air Show. Demos such as the Rotor demo are very beneficial in preparation of performing certain tasks in actual situations and can be useful for virtual instruction to, for instance, students of professional training courses. By using Virtual Reality, it is not necessary to have a physical object as practice item available at the training location. As such, in many cases costs can be decreased. Moreover, a higher efficiency will be achieved than with conventional training methods, because teaching material and exercises can be better remembered. Click to dowload the complete PDF.